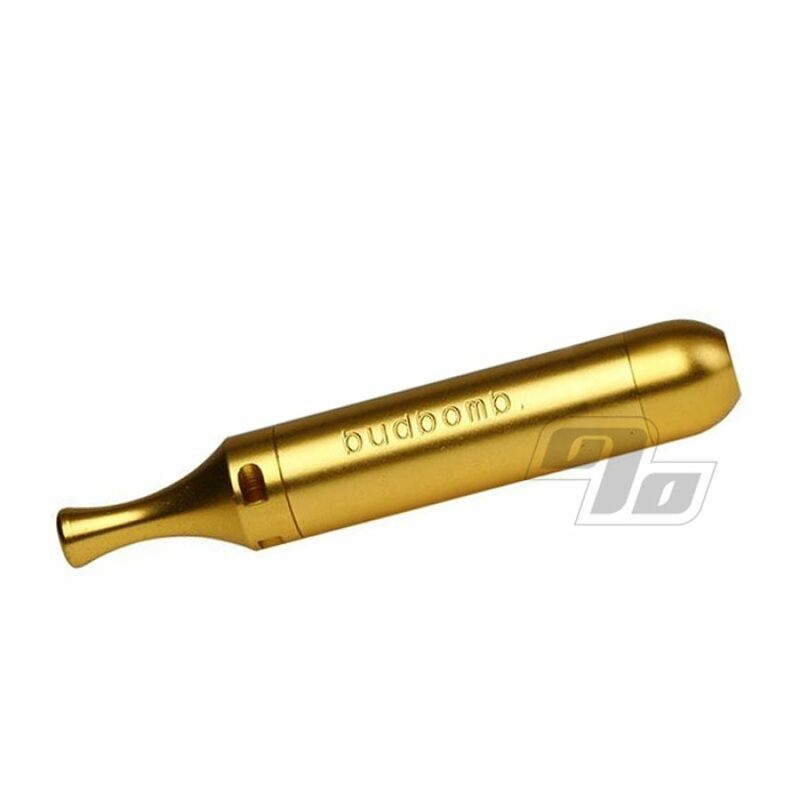 The Original Bud Bomb pipe from Budbomb is a compact dry herb pipe. This portable and virtually indestructible hand pipe is perfect for smoking on the go. The Bud Bomb pipe is a fantastic piece for any herb fan who likes their hits quick and on the go. Easy to carry and even easier to pack, this pipe is the all about convenience. It even works as a keychain. 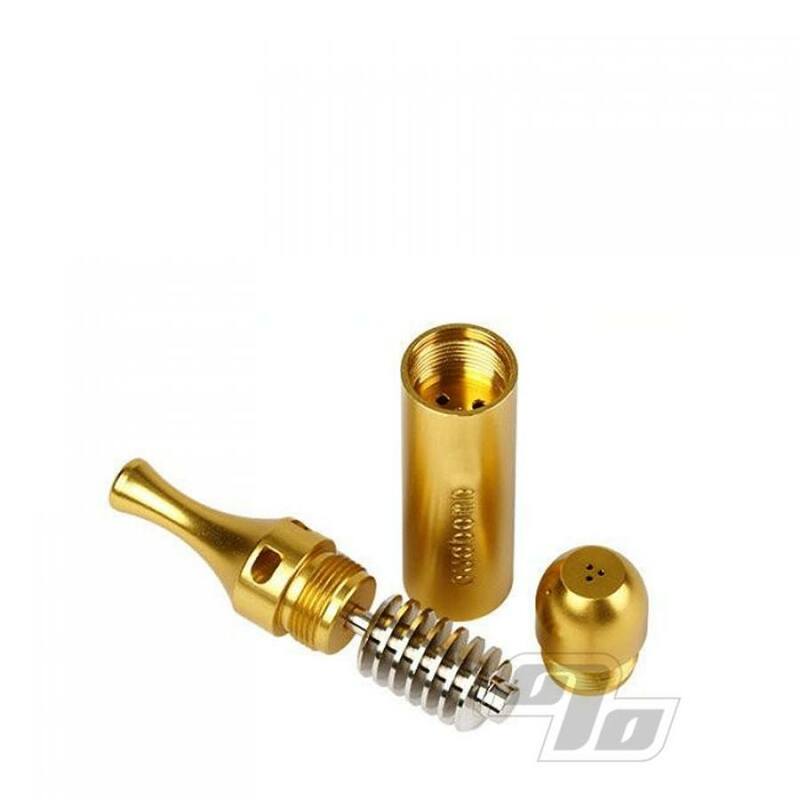 Besides this gold pipe, the Bud Bomb is also available in 2 other distinct finishes including silver and gunmetal black. Measures 4 inches long by 0.625 inches in diameter and comes in a drawstring velvet pouch.